Bright and open single level home located in the desirable 55+ Encinitas community of High Country Villas! Well maintained turnkey home with newer Travertine flooring and paint. Sliding doors open to your private patio where you can relax and enjoy the peaceful greenbelt and cool coastal breeze. Experience life in this very active community that includes a private golf course, clubhouse with pool/spa, movie nights, yoga & many other activities. The unit also comes with a private one-car garage. SchoolsClick map icons below to view information for schools near 1974 Fairlee Encinitas, CA 92024. Home for sale at 1974 Fairlee Encinitas, CA 92024. Description: The property at 1974 Fairlee Encinitas, CA 92024 in the Encinitas subdivision with the MLS# 190007621 is currently listed for $480,000 and has been on the market for 76 days. 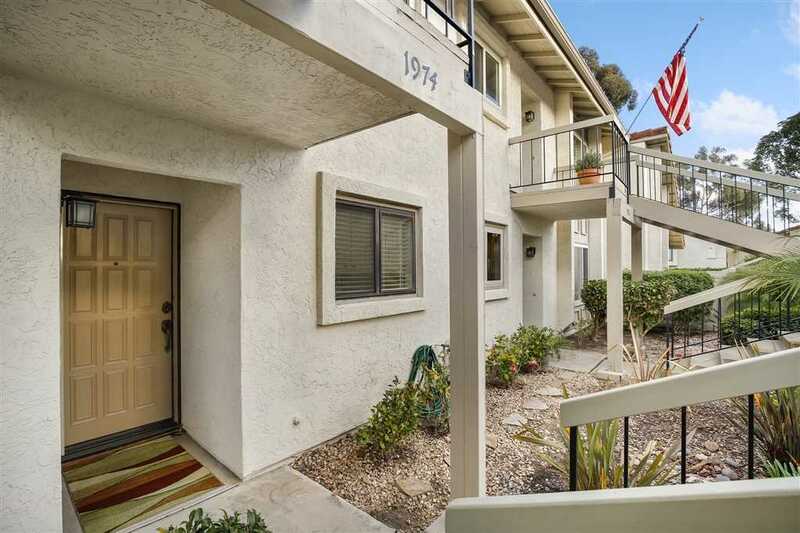 You are viewing the Sandicor listing details of the home for sale at 1974 Fairlee Encinitas, CA 92024, which features 2 bedrooms and 2 bathrooms, and 936 sq.ft. of living area.